Two black Trees combines dynamic geometric shapes suggestive of architectural forms and with tree-silhouettes. Though effectively abstract, McLean’s palette and inclusion of a segment from a London street map perfectly capture the atmosphere of a sunny day in a London park. The urban atmosphere is increased by the inclusion of graffiti –like text. Companion piece to Pink Moda. Usually finding inspiration in philosophy, poetry and history, Rolph wanted to produce a print that related to his current interests in the studio. 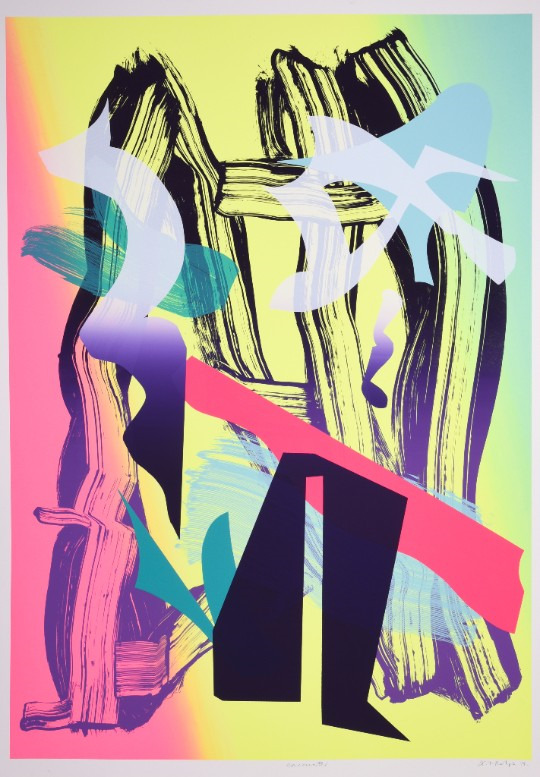 Having only produced one silkscreen edition before, Rolph saw creating this edition as an opportunity to allow him time to investigate the process further, which he found informative and exhilarating in equal measure. ‘Encounter’ will shortly be followed by another silkscreen edition. This piece was created in collaboration with Allison Mosshart (lead singer of The Kills). “Allison Mosshart, lead singer of the band The Kills, wrote a piece called ‘THIS IS THE BIG CITY BABY’ when sitting with Jack White from the White Stripes, they had been sitting in New York by the wishing well fountain, and the events of that day prompted the written piece. It was then given to a project SFWAM - (Songs For Words and Music) which is a charity based literacy project with Jeff Antebi Waxspolitation records, pairing artists with musicians - Tom Waites, Nick Cave and many more. Allison had been hanging on for several years waiting for the right artist to illustrate her piece, my image was inspired by her writing - the cats and freaks come out at night whilst the city sleeps, as the clock strikes 12am some magic occurs. It’s quite a specific illustrative piece as it was a specific image for a project.” - Dan Baldwin. Faith, Hope and Charity is a nostalgic triptych of segments made up from collaged elements of Victorian postcards. This delicate and feminine work illustrates the three Christian virtues mentioned in Paul’s first epistle to the Corinthians. This work is about sentiment and the power of words. It continues the exploration of this power, these eternal themes, that Blake examined in his recent ‘I Love You’ and ‘Hope’ prints. Using floral motifs on postcards was very popular in the Victorian era; here Blake has re-arranged these ornamentations to suit his own aesthetic vision. Cherub heads and child-figures playing musical instruments feature in the ‘Faith’ section; echoing the themes of childhood innocence and joy that recur throughout Blake’s work. The rectangular panel at the peak of the cross is taken from a work by Sir Joshua Reynolds ‘A Cherub Head in Different Views’ 1787. Each panel includes the design of a hand holding a messages ‘Remember Me, Forget Me Not and A Tribute of Love’ that would have been the centre-piece of the original postcards from which they are extracted. 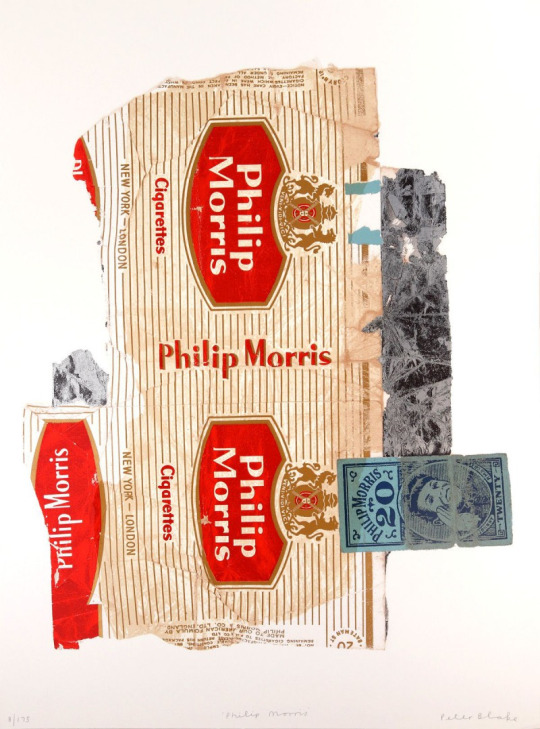 One of Peter Blake’s found art cigarette packets or fag packets as they have come to be affectionately known. This series demonstrates Blake’s belief that beauty can be found anywhere, even in objects that most would believe to be rubbish. The fag packets highlight iconic 20th century design and branding, a key component in the pop art movement. The simplicity of these pieces adds to their wallpower. 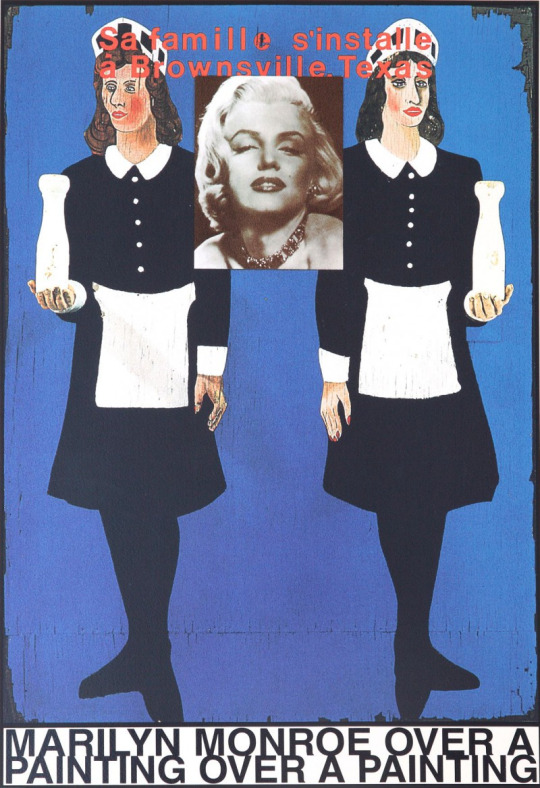 Milk Maids is part 11 of the 12 pieces that comprise Peter Blake’s portfolio box set, based on his work in the early 60’s. The bright colours, bold patterns and simplistic compositions of pop art are heavily present, as are 60’s pop culture icons such as Marilyn Monroe as seen here, Kim Novak, Lavern Baker and Billy Rainbow. The paper border has CCA’s publisher stamp embossed in bottom right hand corner (not shown). 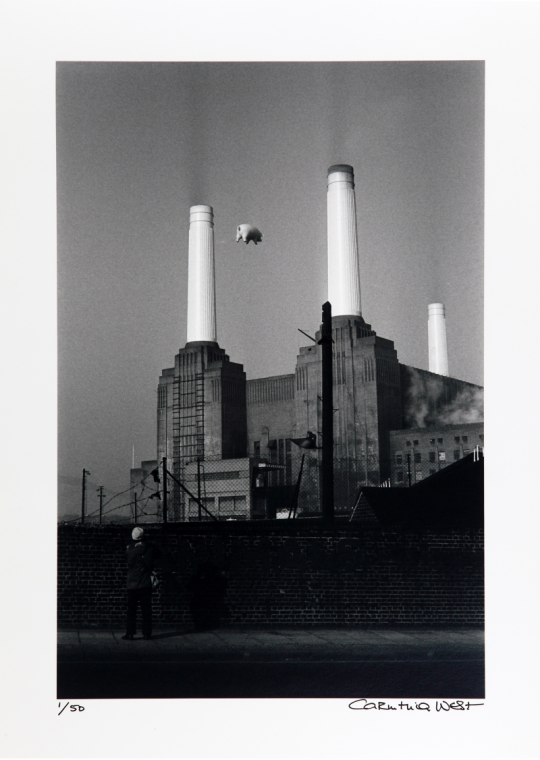 Her black and white photographic stills of the inflatable pig 'Algy’ (the actual album cover devised by Hipgnosis for Pink Floyd’s Animals album 1976) have appeared in several international exhibitions including London, Chicago, Los Angeles, and San Francisco, along with forty other images in her archival collection entitled 'Hanging Out’. 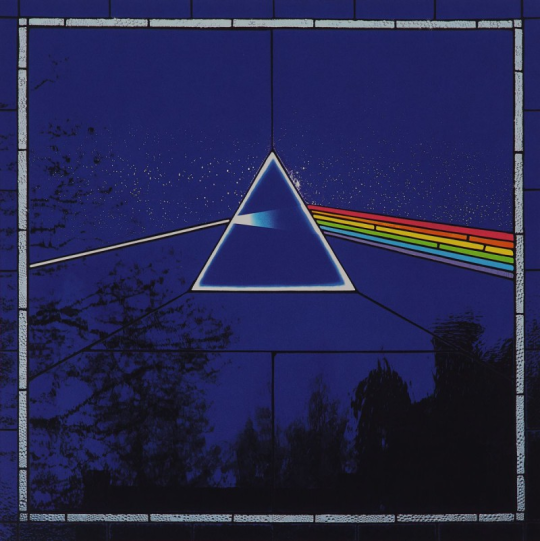 Most recently, seven of Carinthia’s images of this historic shoot, hang in the Victoria and Albert’s Pink Floyd exhibition 'Their Mortal Remains’ until October 2017, after which it will travel to Rome, New York, and other cities. Peter Blake celebrated his 80th birthday in 2012, the year was peppered with projects and events to celebrate the occasion. 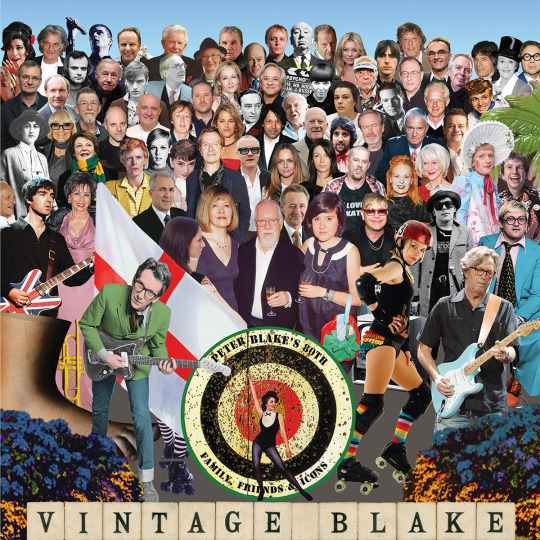 In Spring Blake unveiled a variation of his magic crowd composition: Vintage Blake: Peter Blake’s 80th Family Friends and Icons that was created especially for the celebrations around his birthday. The work features a magic crowd full of the key figures from the artist’s career and personal life, including David Hockney, Damien Hirst, David Bowie, Gary Oldman, Eric Clapton, Ian Dury and many more. “The opportunity to make a large scale screen print made me evaluate many of the ways in which print evolves from the process and how that responds to the way I make paintings. Printmaking has always been a part of how I develop work fusing drawing, tone and colour. To the Lighthouse, Ile de Ré showcases Farley’s fresh and dynamic take on nature, landscape and the spirit of place. 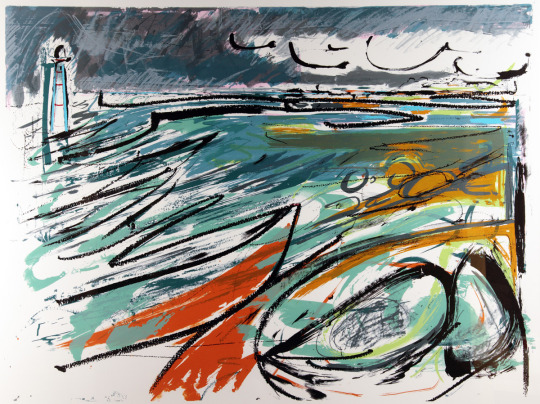 Romantic and windswept, Farley’s sweeping lines and washes of colour draw the viewer into this coastal scene of lighthouse, boats, ominous sky and swelling water. 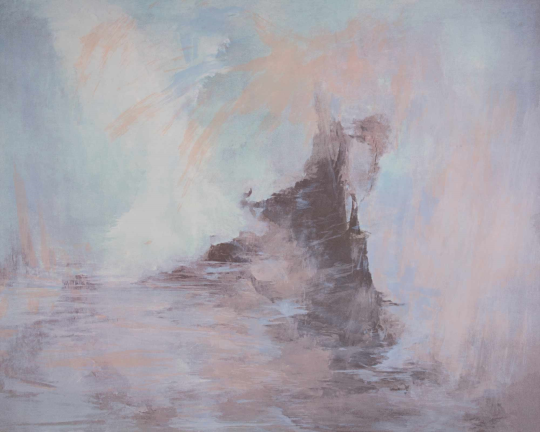 She combines a tremendous sense of atmosphere with a modernity and minimalism that reflects her personal connection with the landscape. 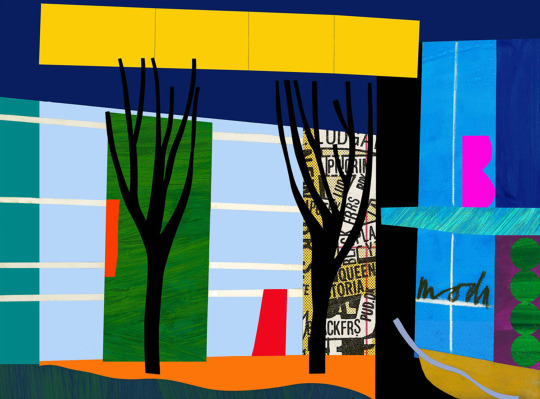 The title of this piece reminds us of the novel of the same name by Virginia Woolf, and indeed the flow of line and colour is reminiscent of Woolf’s stream-of-consciousness style of writing. Beachscape Wester Ross by Donald Hamilton Fraser. 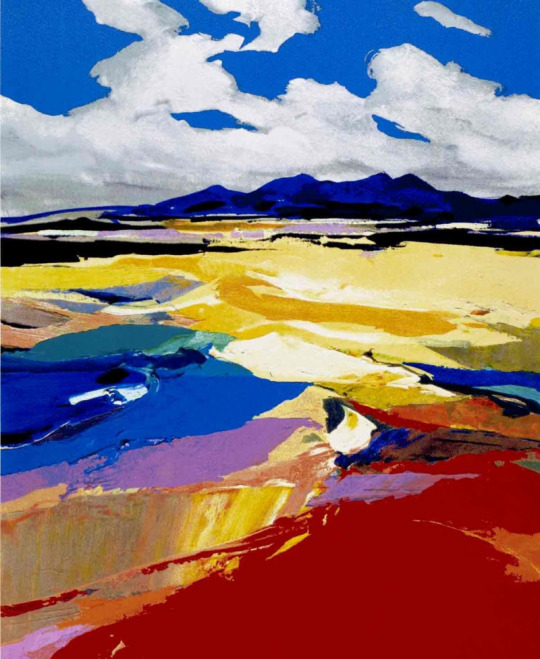 Fraser’s dramatic use of colour lends the landscape an almost surrealistic air. The marks of his palette-knife technique can be clearly seen in the foreground, lending real texture to the picture surface. The bright swathes of colour are not blended together, but stand in stark contrast and create a feeling of joy and vivacity that dominates the work. 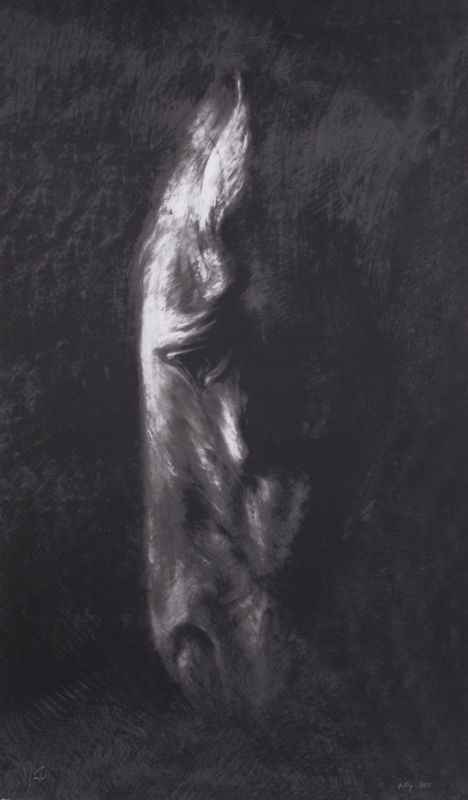 World renowned as an equestrian sculptor, Nic Fiddian-Green’s Horse at Water limited edition silkscreen print is an edition size of 50 and demonstrates the dramatic elegance of his iconic horse’s head. Whilst studying at Chelsea School of Art, Fiddian-Green took a trip to the British Museum and found inspiration in the shape of the head of the horse of Selene. 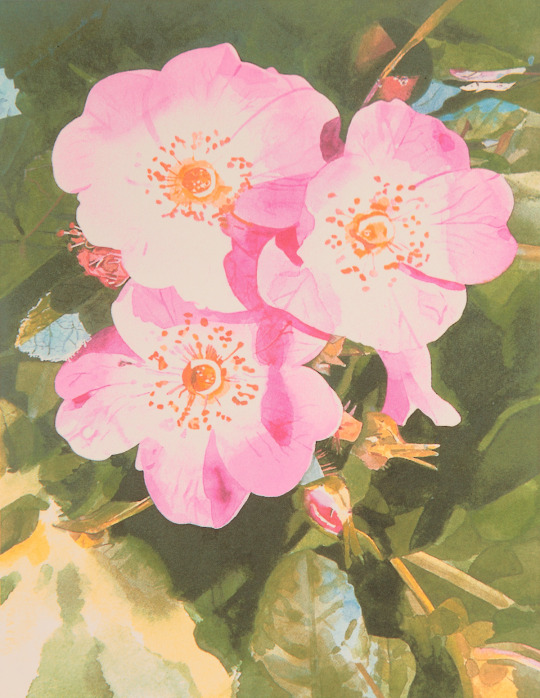 Dog Rose by Peter Blake. A delicate signed limited edition silkscreen print featuring a stunning watercolour illustration of a Dog Rose in flower. 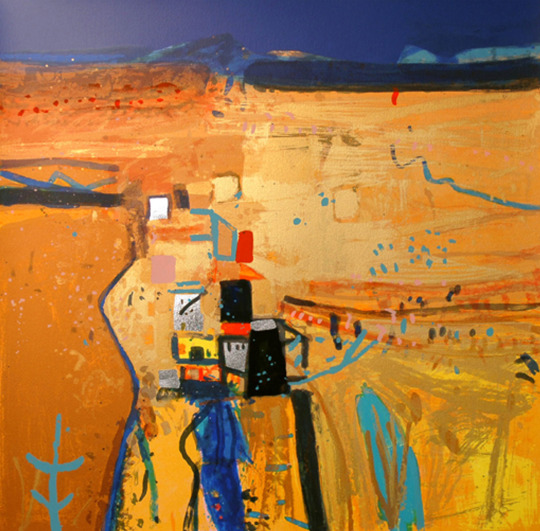 Pueblo, signed limited edition silkscreen print with silver leaf and glazes by Barbara Rae RA CBE. Printed with 29 colours + silver Leaf on 400 gsm Velin Arches paper. Rae’s printmaking has been integral to her artistic activity since her student days. The way she conceives and works on her monoprints, screenprints and etchings complements and informs her approach to painting. The discipline imposed by these media and the unique opportunities offered by them create a set of possibilities, which stimulate her vision of the world, whether she is drawing, painting, making prints, or simply observing.